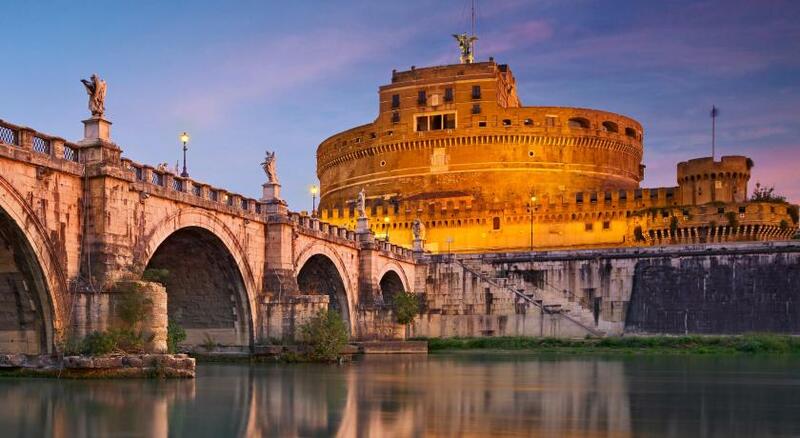 Lock in a great price for Hotel Indigo Rome - St. George – rated 9 by recent guests! 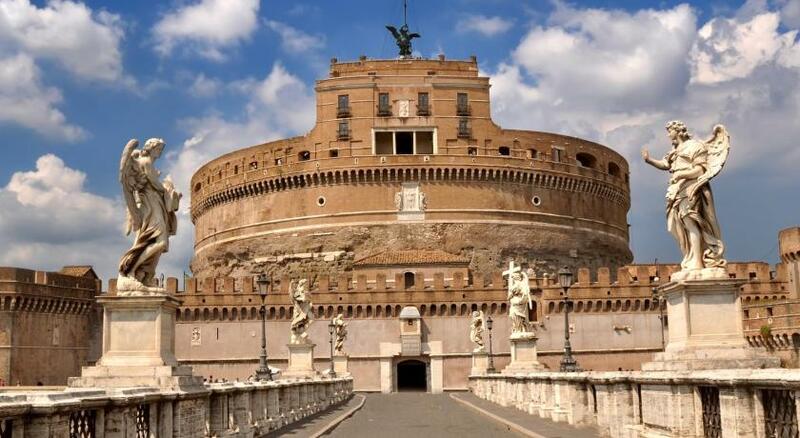 Excellent location to walk to many restaurants, the Vatican, shopping places, the hop on and off tour, etc... it had a great bar inside the hotel and food was also available. Breakfast was lovely, complete with fresh honey from a bee's nest! All the employees were well dressed, sharp, alert, and helpful. The Hotel Indigo is in a real residential area, not a cold, commercial "Times Square" touristy zone, so you do get a hometown feel to some degree. The cab ride, from Da Vinci, could be 45 minutes, and maybe 50 Euro. I suggest cabs, as Indigo is not near any Metro stops. On the bright side, that's what makes it less touristy! Their rooftop resto was excellent if you want to stay in. I will return to the Hotel Indigo. Staff was very friendly and helpful with everything from planning tours, calling for taxi, restaurant reservation, etc. Very close to Vatican and we walked to just about every attraction in Rome, or take a taxi for about 8 to 10 euro anywhere in Rome. The staff was unreal! Helped with everything. From car, restaurant. You name it they did it. Awesome!! They provide a courtesy smart phone to all guests which was extremely helpful. We used the Google Maps app on the phone to navigate around the city everyday. Great amenities. Staff was great and super helpful. Also, it was the best smelling hotel I've ever been in!! The Staff was amazing. Booked dinners for us etc. Very attentive and friendly. Great Job! It was pretty quite in the hotel, which i loved, and very clean which I am always keen on. Great facilities. Enjoyed a lot the breakfast! Staff was really very helpful and never said no to anything we asked. Very good location indeed! 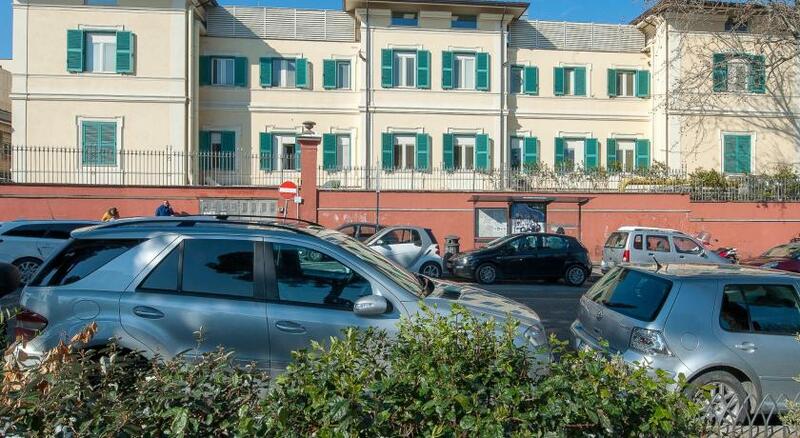 Hotel Indigo Rome - St. George This rating is a reflection of how the property compares to the industry standard when it comes to price, facilities and services available. It's based on a self-evaluation by the property. Use this rating to help choose your stay! Offering a free spa, an à la carte restaurant and a mini-gym, Hotel Indigo Rome - St. George is located on exclusive Via Giulia, just 1,950 feet from Campo De’ Fiori in Rome. Free WiFi is available. Elegant, air-conditioned rooms come with a flat-screen TV with Sky and Mediaset Premium channels, an electric kettle and mini-bar. The en bathrooms include a hairdryer and free toiletries. A complimentary smartphone to use during your stay is also available. Hotel Indigo Rome features a rooftop terrace which specializes in Roman cuisine, and uses local and organic produce. The spa and wellness center includes a sauna, Turkish and spa bath. 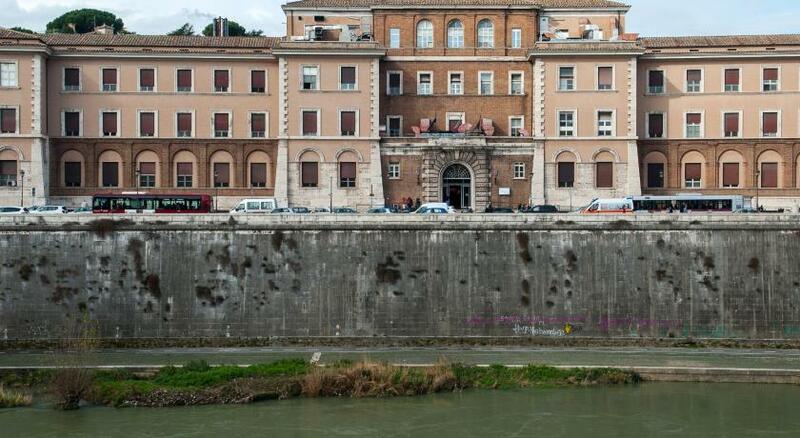 The hotel is 2,450 feet from Piazza Navona, while Vatican City is 0.9 mi away. 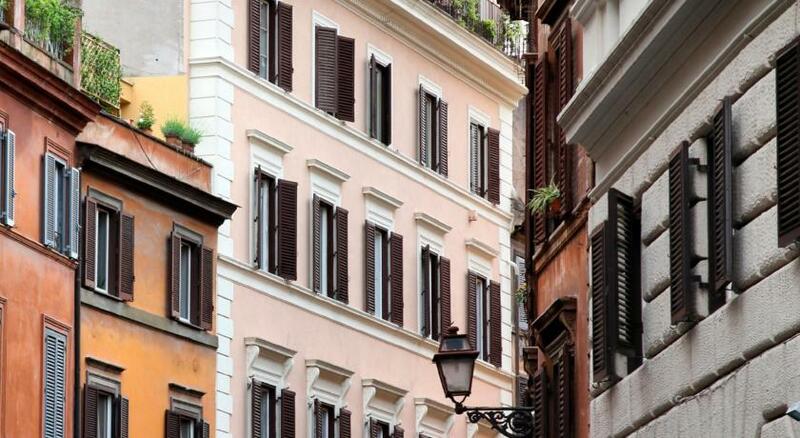 The lively area of Trastevere is a 15-minute walk from the hotel. 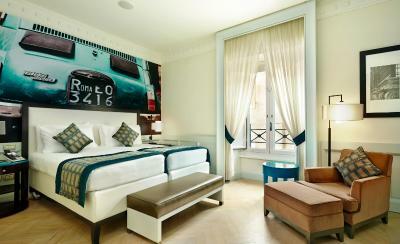 When would you like to stay at Hotel Indigo Rome - St. George? Air-conditioned room with free WiFi and a flat-screen TV with satellite channels. It is complete with a pillow menu, an electric kettle with free tea and coffee, as well as a complimentary smartphone to use during your stay. Offers free entrance to the St. George Spa. No extra beds or cots available for this room type. Air-conditioned room with free WiFi, free mini-bar with soft drinks and snacks, and a flat-screen TV with satellite channels. It is complete with a pillow menu, an electric kettle with free tea and coffee, as well as a complimentary smartphone to use during your stay. Offers free entry to the St. George Spa, discounts on spa treatments and a welcome gift. Only some rooms can accommodate an extra bed. Offering free WiFi, a free mini-bar with drinks, and a 42" flat-screen TV with satellite channels, this air-conditioned suite consists of a bedroom and living room with sofa bed. It is complete with a pillow menu, an electric kettle with free tea and coffee, and a coffee machine with Nespresso coffee. A complimentary smartphone to use during your stay is also available. It includes free entry to the St. George Spa, discounts on spa treatments and a welcome gift. With wheelchair access and fully equipped bathroom with disability access, this double room features air conditioning, mini-bar and bathrobe. It also includes a complimentary smartphone to use during your stay, and free WiFi. Offers free entry to the St. George Spa and discounts on spa treatments. Air-conditioned single room with free WiFi and a flat-screen TV with satellite channels. It is complete with a pillow menu, an electric kettle with free tea and coffee, as well as a complimentary smartphone to use during your stay. Air-conditioned room with free WiFi, free mini-bar and a flat-screen TV with satellite channels. It is complete with a pillow menu, an electric kettle with free tea and coffee, as well as a complimentary smartphone to use during your stay. 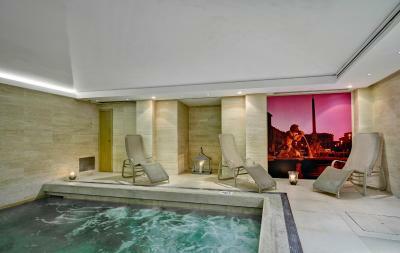 Offers free entrance to the St. George Spa. No extra beds or cots are available for this room type. House Rules Hotel Indigo Rome - St. George takes special requests – add in the next step! ATM card Hotel Indigo Rome - St. George accepts these cards and reserves the right to temporarily hold an amount prior to arrival. Hotel Indigo Rome - St. George accepts these cards and reserves the right to temporarily hold an amount prior to arrival. Delicious assortment of breakfast items! Great location. Very good service. I had an issue with the room being too warm, I tried setting air conditioner to cold but not working,only warm air. Air condition in the rooms did not work and it was too noisy to keep the windows open over night! The overall vibe in the hotel was very chilled and relaxed. It felt very homey and staff was very accommodating. The location was super central and in a lovely neighborhood. The staff was very friendly and the rooms had all that you needed. Nothing with the exception of a combined shower and bath which can be awkward to negotiate. Lovely well-appointed hotel in a great location. Staff wonderful and arranged a late checkout as one of us was sick and needed a few extra hours in bed. Fantastic! Good location and very nice staff.